So ok, what is the one stop solution to weight loss and health? I’ll give you the answer now and then explain. •	makes it difficult for the body to digest. The consequences of this is that we end up with a nation who are overfed and undernourished and it’s a viscous cycle too. If we eat foods which are nutrient deficient we never feel satisfied and are left feeling hungry or craving more food in a desperate attempt to obtain a decent level of nutrients. This inevitably leads to weight gain and with all the health problems associated with being overweight. Even simple processing can massively alter the nature of food. To demonstrate my point consider porridge oats as an example. And yet very simple processing can completely jeopardise such health benefits. At one end of the scale there is whole rolled jumbo oats and at the other end there is Ready Brek with varying degrees of horrors in between! 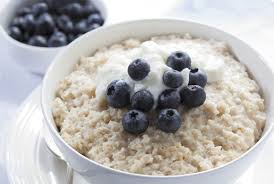 If you have a bowl of porridge for breakfast made with whole rolled jumbo oats, (the least processed form) it will release sugar into the blood stream at a rate at which the body can cope with, providing a steady supply of energy over time. This should help with weight loss and weight maintenance and reduce the risk type 2 diabetes. 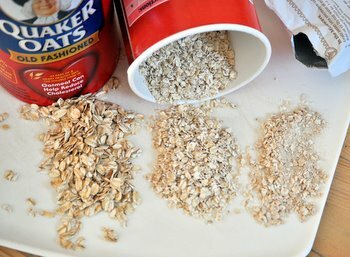 If you chop those oats up into smaller pieces so that they cook quicker all that happens is that they release sugar very rapidly into the blood stream at a rate that the body can’t process and which therefore gets stored as fat, the result being weight gain. Too much fat in the body isn’t good from a cardiovascular point of view and the constant demands on the pancreas to produce insulin in order to deal with the excess sugar will eventually lead to insulin resistance and type 2 diabetes. So for the sake of saving 2 or 3 minutes preparing breakfast all the health and weight loss benefits of eating porridge oats for breakfast are gone. Also once insulin has done its job blood sugar levels will be low so the body will be crying out for sugar (which of course it doesn’t need) give in and the whole cycle happens all over again. This is a very simple example of food processing to demonstrate a point. Most other types of processing as you can imagine are much more complex and sinister with far greater health implications! !